​Today, there is no place providing equitable, thoughtful and culturally relevant women’s reproductive health care for Indigenous women in the United States. If " [m]aternal mortality is a human rights crisis in the United States...[with] the maternal mortality ratio in the U.S. more than doubled from 12 to 28 maternal deaths out of every 100,000 live births. "1 Where does it leave Native American women specifically? With continued budget cuts, staffing reductions and unavailable resources, Indian Health Services (IHS) are no longer meeting the needs of its constituents, thus minimizing their function for existence to provide comprehensive and culturally relevant health care for Native Americans, and in New Mexico specifically for Native American women. For example, in 2009, the Santa Fe IHS facility closed it’s doors, no longer providing prenatal care after 30 weeks and birth services for Native women. Instead these women were asked to sign up for medicaid and transfer care to a private health care provider to deliver at one of the three surrounding hospitals. For the Native women residing among the 8 Pueblo nations in Northern New Mexico, this request is catastrophic to ensure that Native women are accessing and receiving the necessary care during their pregnancies in two key ways. 1) Traveling longer distances to receive care is problematic as many Native peoples live at or below the poverty line with little­to­no expendable resources; and 2) non­native facilities lack cultural sensitivity adding stressors to an already stressful situation and/or causing the mother to discontinue her prenatal care. ​Over the course of the year, Changing Woman Initiative has emerged as a trailblazing entity, igniting conversation across Indian Country as well as the Nation on what is equitable access for women and their reproductive rights. 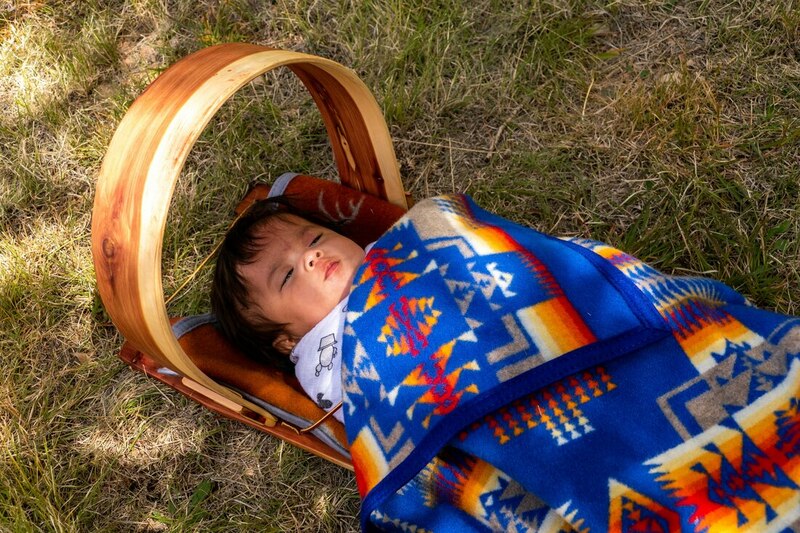 CWI has utilized this opportunity to inform and identify how to grow to ensure that Native women are empowered to make healthy lifestyle choices on how they will access health care services for themselves and their children, pre and postnatal. ​The purpose of the Changing Woman Initiative is to draw on cultural strengths to renew indigenous birth knowledge and healing through holistic approaches and community empowerment. It is focused on developing a culturally centered reproductive wellness and birth center. By creating a physical space for education and healing for Native American women, Changing Woman Initiative feels this will help reclaim cultural identities through birth and motherhood that has been shaped through our cultures. As part of our work to bring this birth center to fruition, we are moving towards creating access to women’s health services now. ​Starting in mid-November, Changing Woman Initiative will be offering easy access care to Native American/Alaska Native Indigenous women from the surrounding areas. What is an Easy Access Clinic? A space where women and teenagers can come for care at any time of day or by appointment to receive care regardless of ability to pay, pending insurance or experiencing crises.